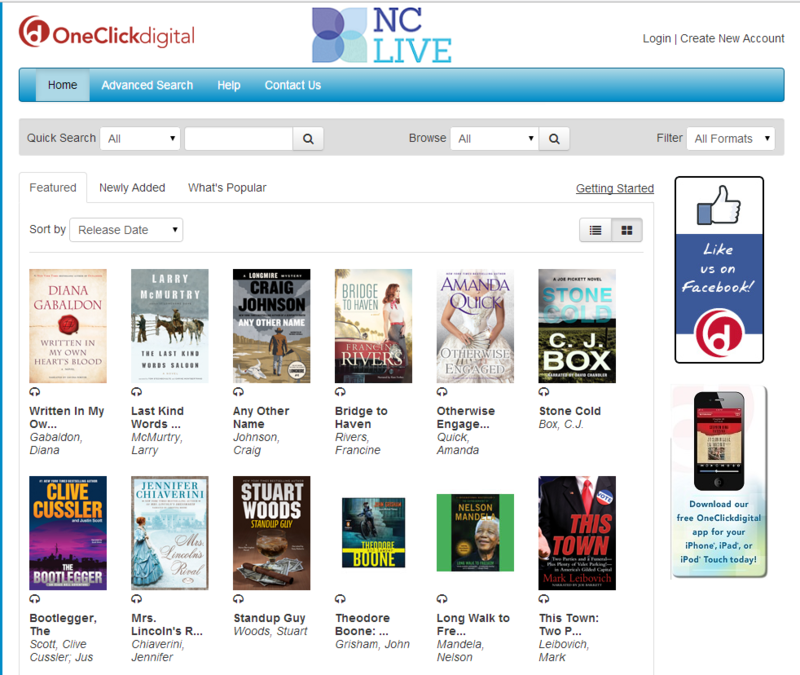 OneClickdigital is an Audiobook-only service that supplements our existing Audiobook collection through OverDrive. It's a growing collection so head over to the Creating an Account to get started! *Check out up to 5 titles at once. *Borrow for up to 5 days at a time. *You can return titles early and renew titles! *You have one renewal for an additional 7 days.